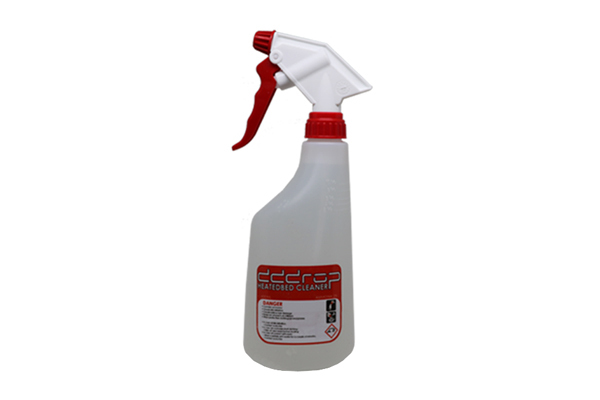 dddrop 3D printer-bed cleaner is used to spray on the glass 3D printer-bed in your dddrop 3D printer and wipe it with a tissue afterwards. You need to spray and clean the glass 3D printer-bed BEFORE EVERY PRINT to maintain good bed adhesion and perfect prints. Only a little spray is enough to clean your 3D printer-bed.